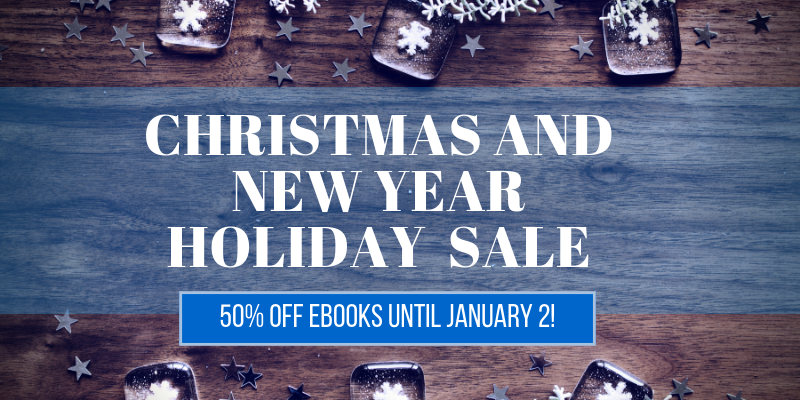 From now until January 2, you can enjoy 50% off any ebook in our writer’s shop with the code MERRY18 at checkout! Feeling like you need some writing prompts for the new year? Try our 110 Writing Prompts across 6 genres! Want to look into short story markets? Check out our Short Story Markets Vol. 1 and/or Vol. 2. Or, maybe you’re looking for something to read—try Reunions, our heartwarming collection of short stories about reunions of all kinds. You can even save more and purchase the Short Story Markets Vols. 1 and 2 along with Reunions in a bundle! Again, apply the code MERRY18 at checkout to receive the discount! So, check out the list below or visit our Writer’s Shop!